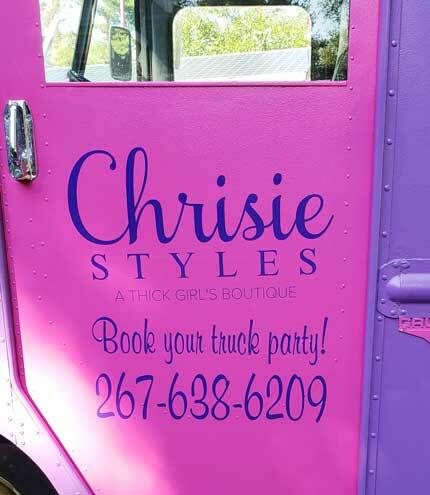 Vinyl Lettering Use: I used my custom lettering to add my logo and phone number to my Fashion Truck. I have been driving it around without any branding info. I super happy to have found such an affordable, easy, and quick way to finally get my business info onto my truck.